Will Voltas be second time lucky in the consumer durables market? Tata group air conditioning and engineering services provider Voltas on Tuesday reported a 12 per cent increase in consolidated profit after tax (PAT) at Rs 1.07 billion in the second quarter ended September 30, 2018. The company had posted a consolidated profit after tax of Rs 950 million in the same period last fiscal, Voltas said in a regulatory filing. Income from operations during the quarter under review stood at Rs 14.15 billion as against Rs 10.32 billion in the year-ago period, up 37 per cent, it added. The company said it continued to be the leader in room air-conditioner market and has further improved its market share (in multi-brand outlets) to 25.6 per cent in the second quarter as compared to 23.2 per cent in the corresponding quarter last year. The segment revenue for the quarter was higher at Rs 4.41 billion as compared to Rs 4.08 billion last fiscal. 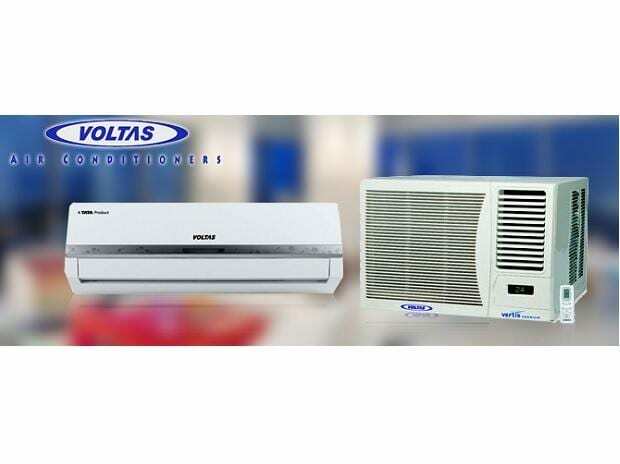 Voltas further said it has "ramped up its products, with right products in the energy efficiency inverter segment which are well received in the market". In electro-mechanical projects and services, revenue for the quarter was higher at Rs 9.01 billion as compared to Rs 5.57 billion in the corresponding quarter last year, Voltas added. The engineering products and services segment clocked revenue of Rs 730 million as against Rs 670 million in the same quarter last fiscal, it said.